Welcome to join this Unique Yoga Experience in the Magical Island of Menorca. During one week we dive into a Somatic Experience Based Practice with the intension to explore how to truly Inhabit the Body and improve the Bodys Intelligence in Movement. To help us explore this we use the Virya Yoga Method and the different spectras of Somatic Meditation. 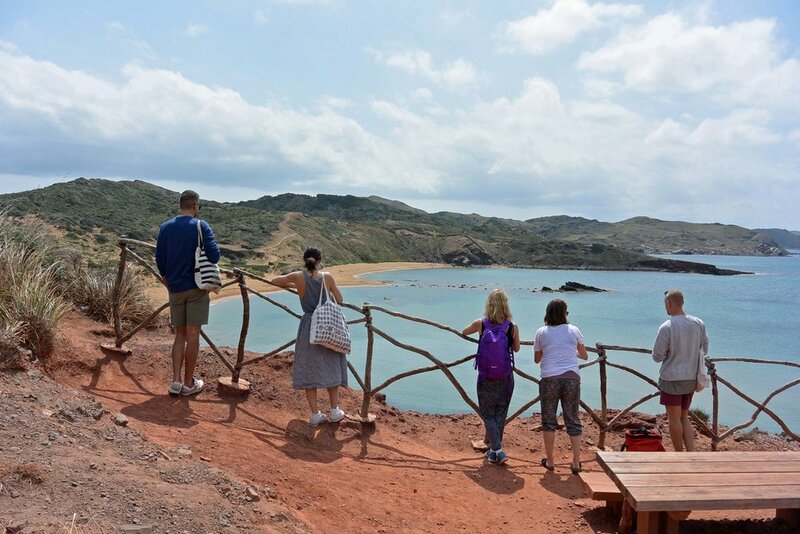 At the same time, we explore Menorcas beauty and History through different Excursions around the Island, as well as the charm of Ciutadella de Menorca. How Somatic Meditation can be used to fully Inhabit the Body and to Explore the Idea of how our Spiritual Essence is expressed within the Body. How Mindfull Explorative Movement can be used to improve our Intelligence in Movement and develop our full Movement Potential. How to Improve Joint Mobility and Movement Control from a Sport Science-Based Approach. Main focus: Vrist and Ankle mobility, Scoulder Girdle coordination, Hip Control and Spine segmentation. How to move with Integrity and coordinating the body as a unit. Embodied Spiritual Themes where we explore and attune to the different stages of Heartfelt Surrender based on Matt Kahns work. During the week we live in a Beautiful Agroturism Hotel in the Central South Part of the Island. 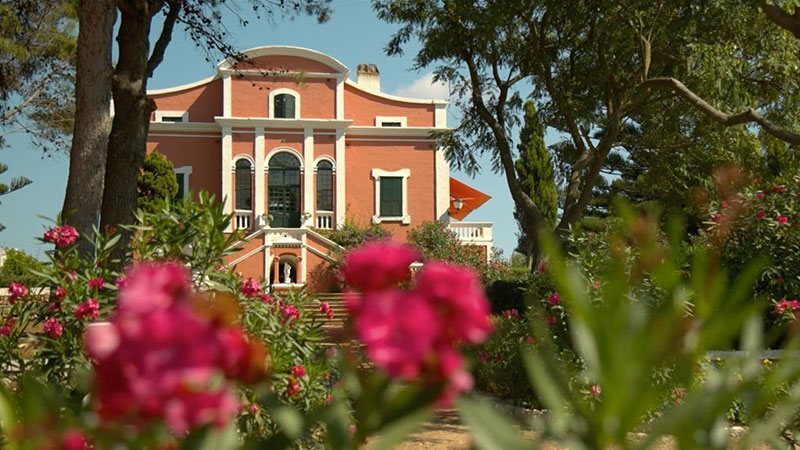 The Farm with its majestic house and surrounding romantic garden has a panoramic view over the south-west part of the Island. The Hotel with its common areas include a pool, Chapelle, and a restaurant. The studio where we will be practicing is separated from the main building. While practicing, we can both enjoy the morning sun as well as the view of the sunset behind the rural landscape. The animals living at the farm will be there daily welcoming us to the practice. Because of the great Location of the House, there are many possibilities regarding where to go and what to discover on the Island. 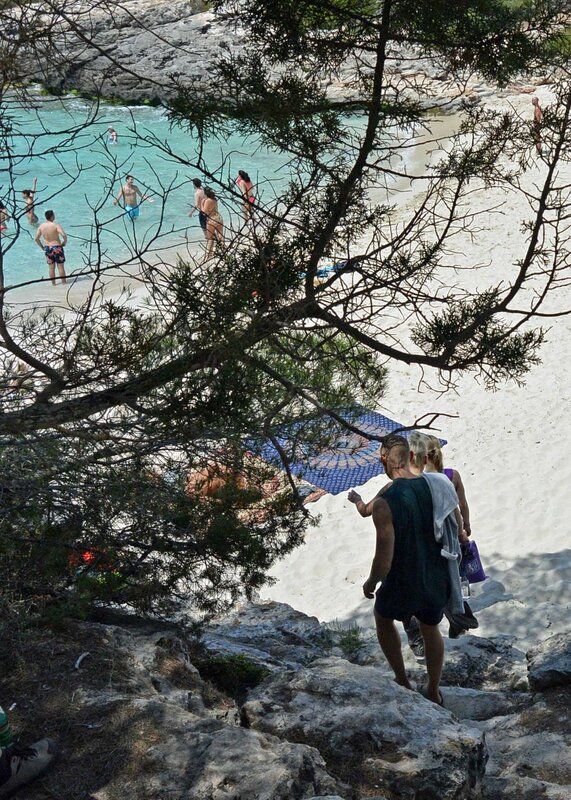 Just 10-15 min away, we have Cala Galdana and the long beaches of Sant Thomas. Ciutadella de Menorca is 20 min away. 12 classes (6 Classes, 6 Workshops = 27 h). First class Sunday 19th of May at 5.30 pm. Last class at Saturday 25th of May at 5.30 pm. 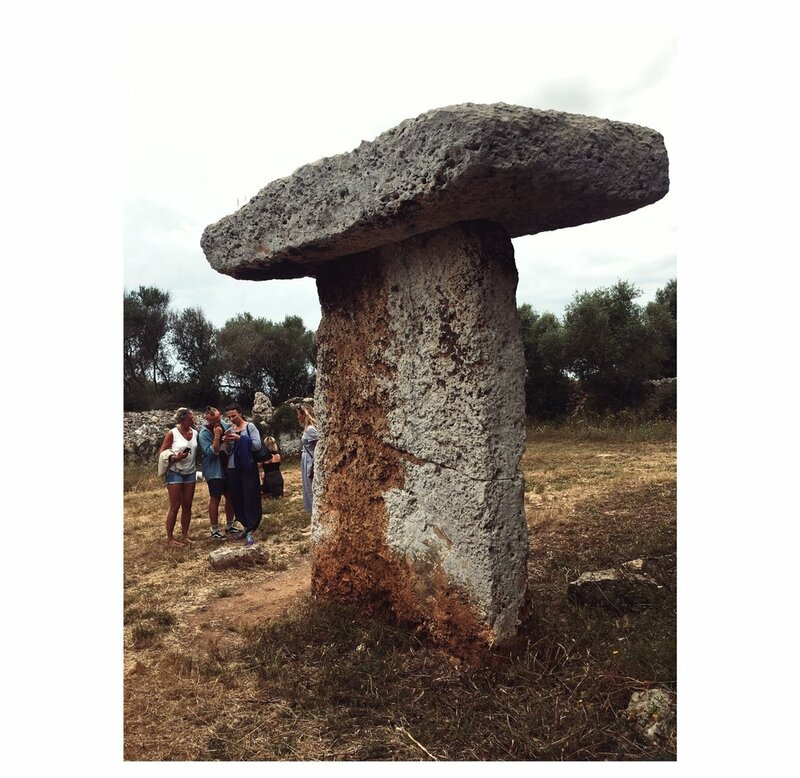 Visiting the Talaoitics (Prehistoric ruins of Menorca). Sunset excursion to Punta Nati. Holistic Therapheutic Treatments from our therapist Xevi (50€). This is booked separately though my local contact at the Island. The prices include 3 daily balanced vegetarian meals. Every room has its own bathroom. Legend tells that the winds of Menorca modify the personality of people. Maybe that is the reason why those who came here once as tourists mostly return. Menorca certainly has a very strong personality, and a very different one to the rest of the islands. Menorca, the "minor" island, as it was called by Romans, has an almost virginal interior (compared for instance to the "major" island, Mallorca) and shows interesting remains of its old history. On the other hand, there are beaches and lonely bays around it at a length of 216 kilometers. An ideal resort for all those who are looking for true relaxation. 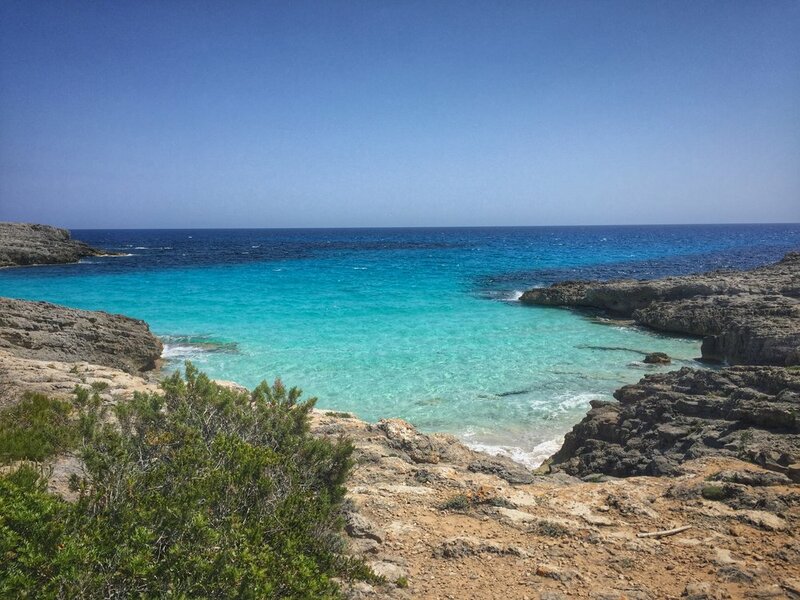 I did my first real yoga retreat with Robin in Menorca, it was a perfect experience for body and soul. Robins yoga practices are heaven for the body and his way to teach is extremely pleasant. I had such a good time during this retreat and it was a perfect ending of the summer before the most busy time at work. Robin is a wonderful yoga teacher with great knowledge and understanding of the body and movement. He was attentive to the group and adjusting the program if needed, both the classes and the extra activities. Minorca is beautiful and the perfect place for a retreat with not too many tourists during that time of year (September). 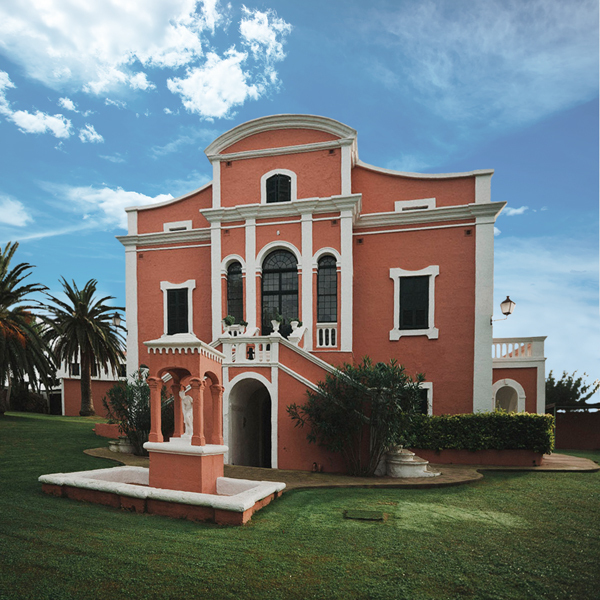 The house had everything you could ask for, with a swimming-pool and only a short walk into the beautiful town of Ciutadella and the beach there. The food was amazing, with three home cooked meals every day and always fruit and nuts available. First class Sunday 22th of September at 5.30 pm. Last class at Saturday 28th of September at 5.30 pm. Du kan helt enkelt hänge dig åt yoga, sol och bad och samla nya krafter med hälsosam mat och skönhetsbehandlingar. Vi yogar på ett magnifikt yogatak under canvastakets skugga med utsikt över hela medelhavet. Efter yogan äter vi frukost och middag tillsammans. Dagarna tillbringar du på stranden eller vid ”ditt” hus poolområde. Yogan leds med värme och kunskap av Josephine Selander och yogaläraren, tillika fysioterapeuten Robin Tåg. Vi utövar viryayoga, som är en dynamisk yogaform med fokus på biomekanik och filosofi, där varannan morgonklass är en fördjupad yogaklass på två timmar utifrån Virya Explore (där vi jobbar med klossar, band, bolster och stolar) för att få en fördjupad förståelse kring yogan. Varannan morgon är en vinyasaklass på 1,5 timme. På eftermiddagarna jobbar vi på samma sätt (se schemat nedan). Josephine har skrivit ett flertal böcker om yoga. Både Robin och Josephine utbildar yogalärare för Nordiska Yogainstitutet i Sverige, Norge och Indien och en utbildning pågår medan du är här. Eftersom boendet sker i hus i det område där vårt yogacenter är beläget, kan du med fördel åka med familj och vänner som inte är sugna att yoga. Dom betalar i så fall bara för resa och boende (inte yoga och mat). Läs mer om boendet och centret här. Onsdag eftermiddag och kväll är ledig. 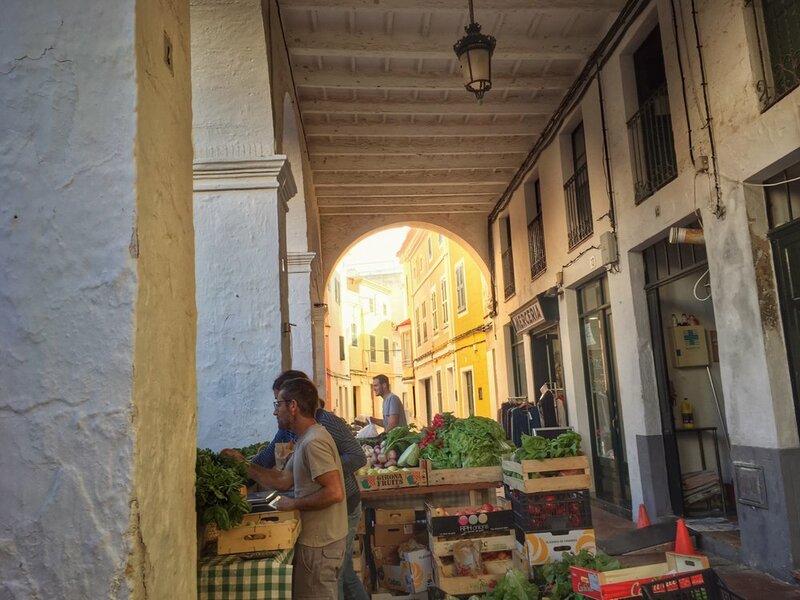 Då finns möjlighet att åka till den anrika staden Cartagena, med sin vackra jugendarkitektur och magnifika amfiteater från romartiden. Kanske är shopping och en middag på en av stadens trevliga restauranger på sin plats? På plats finns massage- och SPA-terapeuter som du har möjlighet att boka in under veckan. Du har dessutom möjlighet att boka in fysioterapi behandling till reducerat pris med Robin. – Flygresa Arlanda- Alicante med SAS. – Del i dubbelrum, i hus med tillgång till kök. Läs mer om boendet här. – Lunch på lördag innan avresa. – Lån av yogamattor, klossar, band, bolster och filtar. Boka genom att mejla eller ringa till Lena på Jade Travel. Tel: 08 441 76 25. Mejl: Lena@jade.se. Avgång med flyg från Arlanda kl. 06.50. Ankomst kl. 10.55 i Alicante. Transfer på ca 90 min till Isla Plana, där du installerar dig. Samling kl. 17.30 på Mojon Hills i Isla Plana. Yoga, info och middag. 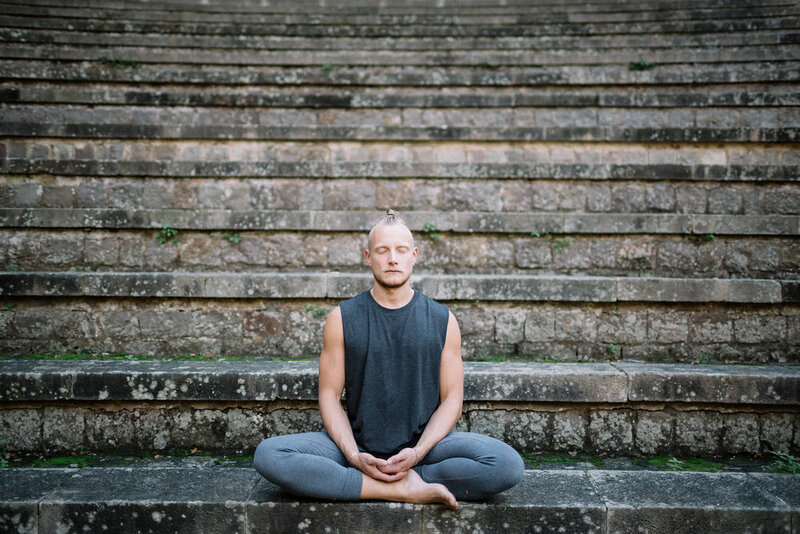 För mer information om vårt yogacenter, klicka här. Welcome to join this Unique Yoga Experience in the Magical Island of Menorca. During one week we dive into a Somatic Experience Based Practice with the intension to Explore how to truly Inhabit the Body and to Improve the Bodys Intelligence in Movement. To help us explore this we use the Virya Yoga Method and the different spectras of Somatic Meditation. At the same time, we explore Menorcas beauty and History through different Excursions around the Island, as well as the charm of Ciutadella de Menorca. How Somatic Meditation can be used to Cultivate Awareness and to Explore the Idea of the Spirits Physical Expression in the Body. How Mindfull Explorative Movement can be used to improve our Intelligence in Movement and our full Movement Potential. The effects of regular practice where the Earth is used as an object for Meditation. How to move into the Earth and experience of "the Groundless Ground". How to Experience and Use the forces of Gravity and Ground Reaction force in stillness and in movement. The Philosophical aspects of The Four Stage Continuum of Groundedness: No Ground, Foreground, Background, Homegrown. During the week we live in a Beautiful Agroturism Hotel in the Central South Part of the Island. The Farm with its majestic house and surrounding romantic garden has a panoramic view over the south-west part of the Island. The Hotel with its common areas include a pool, Chapelle, and a restaurant. The studio where we will be practicing is separated from the main building. While practicing, we can both enjoy the morning sun as well as the view of the sunset behind the rural landscape. The animals living at the farm will always be there welcoming us to the practice. 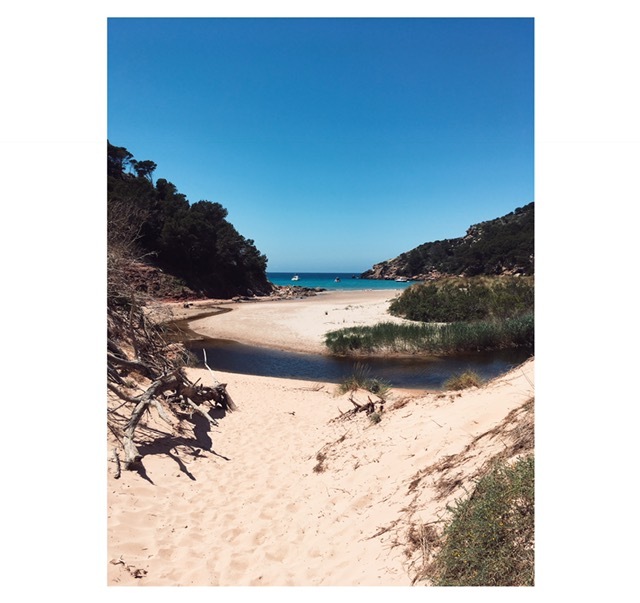 Trips to Ciutadella de Menorca. Guided Meditation at the International Buddhist Retreat Centre. Holistic Therapheutic Treatments from our therapist Xevi. Please email larsenruiz@me.com or call +34 689 124 707. Arrival sunday the 27th of May. Departure Sunday 3rd of June (morning). Please contact info@robintag.com for recommendations. What does it mean to truly inhabit the Body, and how can we learn to listen to its intelligence? These are some of the questions we will investigate during this Weekend Retreat up on the Hills of Sitges. The intention with this retreat is to offer an experience that brings perspective, freedom and creativity to your practice, as well as insights about our body as a non-dualistic phenomenon. With the help of the Virya Yoga Method we indulge in different themes from a somatic experienced based approach in the purpose of embodying qualities the spirit and the architecture of the body. We will be staying in a 16th-century farmhouse located in the Garraf Natural Park, just 10 min from Sitges and 25 min from Barcelona Airport. The Farm consists of 5 houses, that are surrounded by more than one hectare of vineyards. 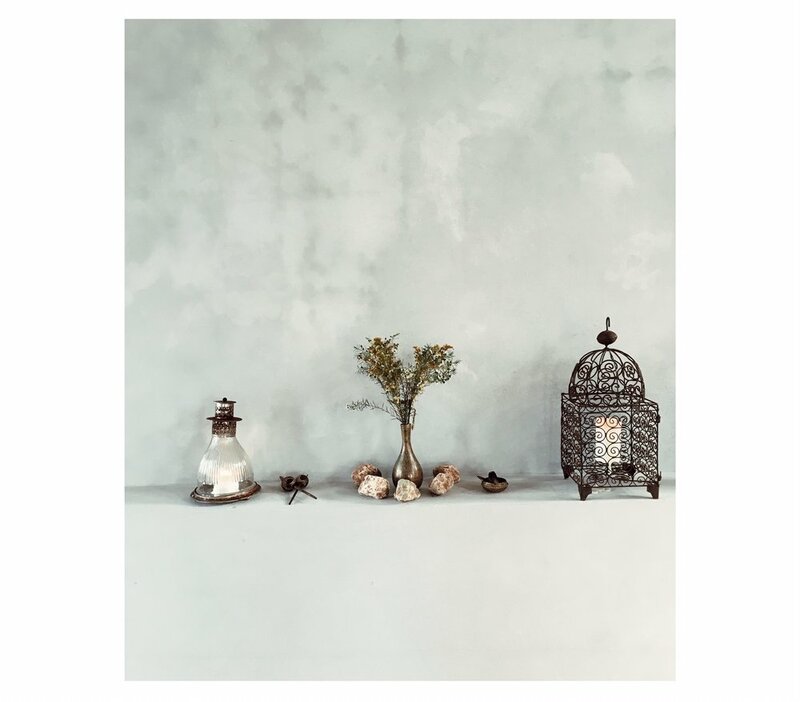 Because of its close connection to nature and history, the owners are putting great value on acts of sustainability such as water and energy saving, heritage conservation and landscape integration. Depending on time and weather, we have the possibilities to practice both indoor and outdoor, in the pool area with shade or at the upper terrace with a stunning panoramic view of the Sitges Coastline. The practice of tuning in to the Felt Sense - tracking whats happening "in here" instead of "out there". Different Perspectives of Conciousness: The practicer of connecting to and differentiating the Bodily Sense of Matter (the Body), Energy and Fundamental Consciousness. How to make it graspable and experience it in a concrete way. How to increase our sensory relationship to a bodily sense of Groundedness, Spaciousness, Inner Vericality and Open heartedness. How a non-dualistic way of looking at the Body can change our Bodily Experience in stillness and in movement. The difference between an experience based practice vs. a practice based on reaching an idea of a form or pose. Theory into practice: How the Body maintains Form, Inner Space and Integrity from a Biomechanical point of view. 8 x Classes (18 h Including Meditation, Flow Classes, Workshops and Theory). This is booked separately though my local Agent. Choose from one the Options below. 4 Breakfasts, 1 lunch and 3 Dinners. Vegan options available (Please inform when booking). Transfer from and to Barcelona Airport. Beach Excursions to Cala Waikiki and Cala Fonda. For flight recommendations please email info@robintag.com. Welcome to this explorative yoga weekend in the vibrant city of Barcelona. The intension with this weekend is to offer an experience that brings new perspectives, freedom and creativity to your practice, as well as new insights about the body-mind connection. With the help of the Virya Yoga Method we indulge in different themes from a somatic experienced approach in the purpose of embodying the spirit and the architecture of the living body. At the same time, you will be able to enjoy the city of Barcelona as you like in between the sessions. In other words, between the classes you have the freedom to design your weekend as you want. We will be practicing in a charming dance studio at the base of Montjuic mountain in the authentic Poble Sec Area - a still unknown district for most of the tourists that keeps a strong history among its streets. Centrally located but still in a close connection to nature. The studio with its high sealing, big windows and theatrical atmosphere makes the practice very special, as well as its floor that has a nice response and friction allowing those of us who want to practice without mat. - We eat Brunch together after the morning practicer at some of my favorite places in the neighborhood. - Lecture about the theory of Biotensegrity, why it is helpful and how it can be applied in yoga and in everyday life. - How Meditation can be used to embody the spirit and architecture of the living body. 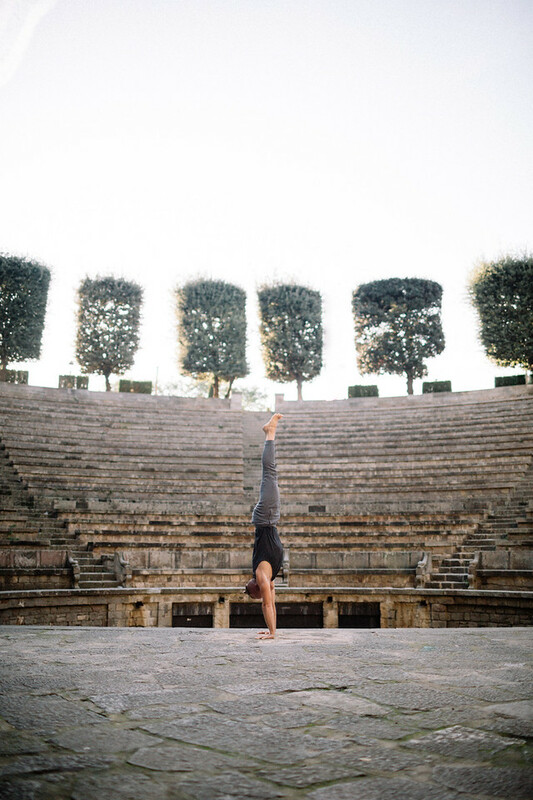 - Broading the perspective - Creative exploration of asanas and transitions outside the mat. - Sensing the pull and push of gravity, and how it can be explored in stillness and in movement. -The different dimensions of the biomechanics of grounding; hands and feet in relation to your individual structure. - Sensing force transmission through the Pelvis and through the Shoulder Girdle. - Embodying a state of Integrity (Openheartedness and Spaciousness). Please contact info@robintag.com for recommendations regarding Flights and Accommodation.